Panic during Remembrance Day ceremony in Amsterdam Tuesday 04 May 2010. Dozens of people were injured after panic broke out during the Remembrance Day commemorations on Amsterdam's Dam square on Tuesday evening when a man began shouting during the two minutes silence. Most of the injured had either broken bones or scrapes and bruises received when parts of the crowd began moving following the shouts. At least one safety barrier fell during the crush. 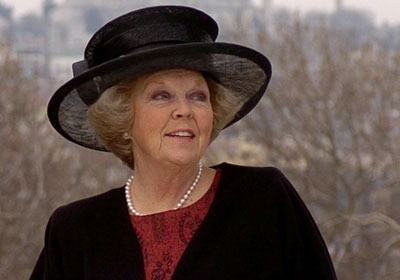 Queen Beatrix was ushered away from the ceremony during the incident but returned a few minutes later after order had been restored. The ceremony was then resumed. Before the two minutes silence, wreaths had been laid by the queen, crown prince Willem-Alexander, political leaders and Amsterdam's acting mayor Lodewijk Asscher.